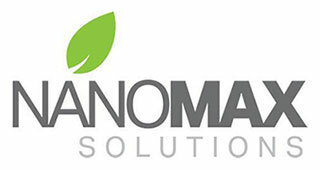 Bio Fusion-Rx is a Nano-Driven, All Natural, Bio Adjuvant designed to add to the various herbicides in conjunction with NanoRevolution 3.0. Designed for hard to kill and resistant weeds of various types. A custom engineered selective group of microbes that produces specific enzymes within the leafing plant cell tissue help shut down microbes that are producing Amino Acid in various weed species for weeds to continue to live. Designed to use up moisture from plant cells and dehydrate the cell and capillaries permanently (which are supplying the essential nutrient and moisture to every leaving cell in the plant) by shutting down plants cellular respiration. Natural microbes are selected for their capabilities to provide superior crop health and production through enhanced rhizosphere activity and bio-stimulation of plants. The rhizosphere process plays an important role in regulating soil organic matter decomposition and nutrient cycling. These microbes are safe, natural, and NOT genetically modified. These selective groups of microbes are friendly to crops and unfriendly to all weed types. As a weed management method, biological control offers an environmentally friendly approach that complements conventional methods when mixed with herbicides. It helps meet the need for new weed management strategies since some weeds have become resistant to certain herbicides. Biological control agents target specific weeds. Moreover, this technology is safe for applicators and consumers. Bio Fusion-Rx will not eliminate the need to use chemical herbicides. Both of these tools need to be integrated with cultural practices, such as tillage and crop rotation in the battle against weeds. By using Integrated Weed Management and combining Bio Fusion-Rx with herbicides, the development of weeds that are resistant to biological or chemical agents can be slowed or eliminated. Improve penetration and improve effectiveness of herbicides by helping stop the production of folic acid within the cell structure of the various weed plants. Bio Fusion-Rx will not harm crops or soil. When applied during planting in connection with herbicides, will not harm the seeds or the soil microbes and will not interfere with liquid or dry fertilizers.